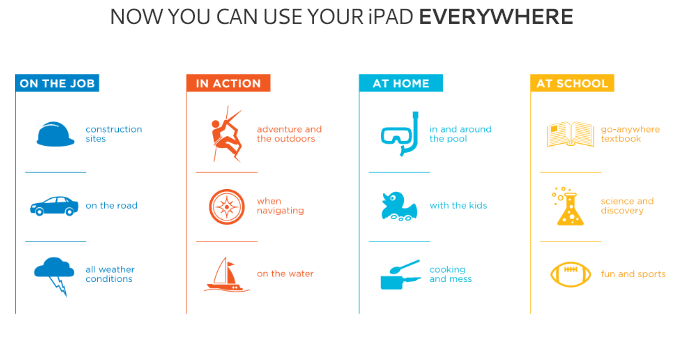 ← Back to School Apps for Productivity – What in Your OT iTool Kit? Fully encased to protect it from spills, bathtubs, bounces and really grimy hands, the LifeProof case is pricey but reportedly extremely durable. 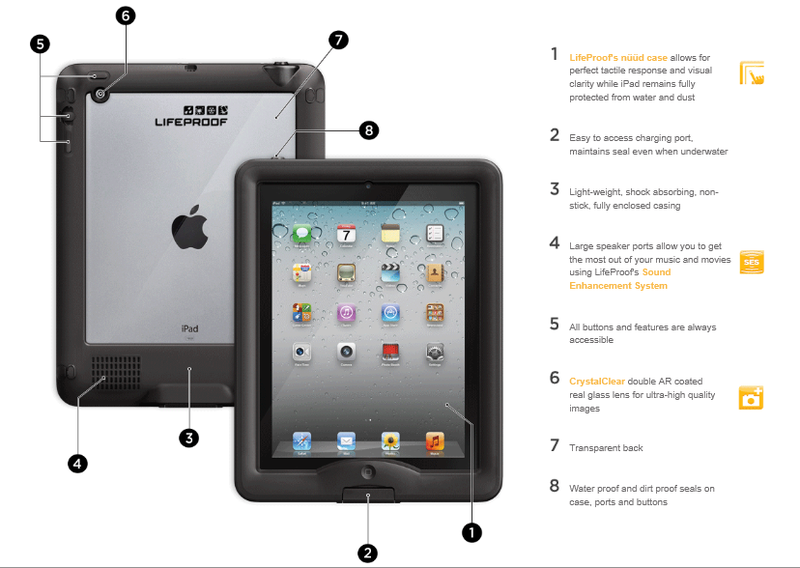 The case comes in a bundle with the case, cover and stand sells for $159.99 from LifeProof. I do not have experience with this case, but the iPhone case has been very popular and withstands extreme abuse. Hmm? 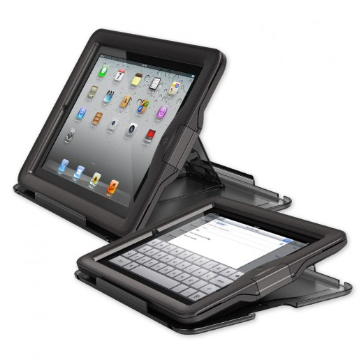 Know anyone that needs their iPad protected from frequent mishandling? This entry was posted in Accessories, iPad and tagged accessories, iPad, iPad accessories. Bookmark the permalink.